2018 Porsche 911 GT3 is undoubtedly one of the most admired luxury cars in Dubai. As known by everyone, Dubai is famous for its luxury cars and skyscrapers, there are a lot of car manufacturers who consider the demand of Dubai car enthusiasts and bring all high-performance models of their luxury line-ups. 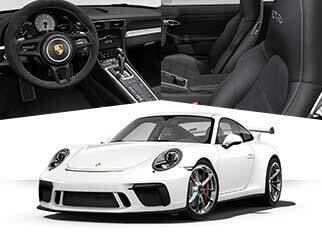 However, the 2018 Porsche 911 GT3 is one such premium sports coupe that combines good looks, high-performance and advanced technologies at one place. 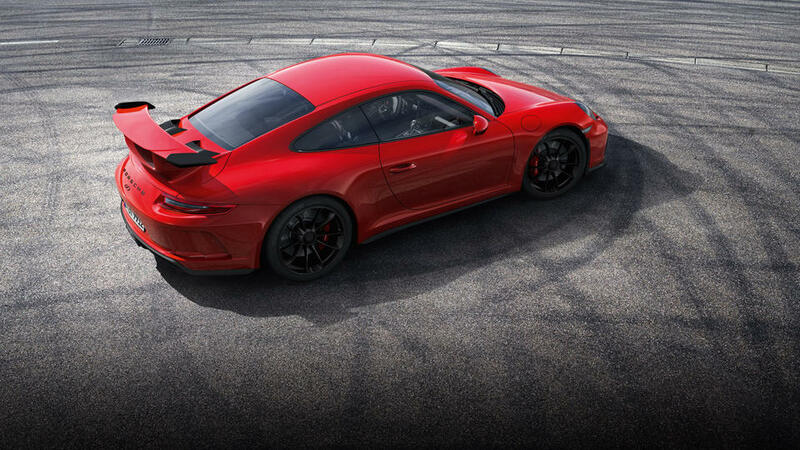 The all-new 911 GT3 is redesigned to be more aerodynamic and maintaining its sporty looks at the same time. The new 911 GT3 is available in the UAE market and has a wide range of features and technologies to cater to the needs of luxury car enthusiasts. Offering a smooth ride with excellent handling and control, the all-new 911 Porsche GT3 is one of the exceptional luxury cars in Dubai in all terms. The stunning exterior combined with excellent performance attributes makes this premium sports coupe a must have for car collectors. An ergonomically designed interior providing more driver-centric technologies offer ultimate comfort to occupants. Not only good looks and technology but also the safety features of this sports coupe are most advanced in ensuring the safety of all occupants. Here is a closer look at the design, performance attributes and technologies fitted in the 2018 Porsche 911 GT3 of this latest entry of luxury cars in Dubai. Porsche designers have paid keen attention to all design details of the 2018 Porsche 911 GT3, to make it look more edgy, curvy and sporty. The coupe itself has a demanding appeal to make onlookers intact with the beauty of this car. A redesigned front fascia along with a long nose justifies the curves at the grille and gives it an aggressive profile. For enhanced aerodynamics, the grille is made bigger and wider providing better downforce with large and wide air intakes. The 2018 Porsche 911 GT3 is fitted with a carbon fibre rear wing, lid spoiler and wing uprights, reducing the overall weight of this coupe and enabling a smooth ride on the roads. Furthermore, it has Sports Exhaust System with central twin tailpipe adding aggressive looks to the exterior of this sports coupe. The Porsche 911 GT3 2018 is fitted with 20-inch forged alloy wheels, sports tyres, titanium air intake grills, new air blades, Bi-xenon headlights, LED daytime running lights and three-dimensional slimmer LED taillights. The luxury cars in Dubai has ergonomically designed interior, which is followed by the Porsche designers for the all-new 911 GT3. It has all the features and luxuries fitted to make all your rides smooth, adventurous and memorable. An ascending center console with gear selectors is in range of the driver from where it can be easily accessed. Also, the steering with gearshifts is covered with black Alcantara leather making it look luxurious and beautiful at the same time. Alongside steering wheel, a 4.6-inch colour screen provides all essential information to the driver through a digital display. Furthermore, the interior includes an Automatic Climate Control System and other smart technologies to make every drive convenient and comfortable for the occupants. 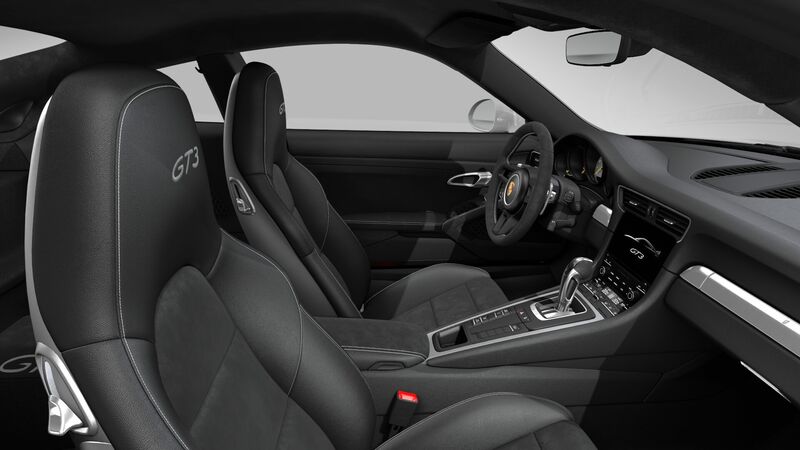 It is a 2-seater sports car, with Alcantara leather-wrapped sports seats, with an option of choosing 18-way power adjustable Adaptive Sports seats, Full Bucket Seats and Sports Bucket Seats. Having a stunning, aggressive and sporty design requires the best luxury cars in Dubai to have exhilarating performance as well. 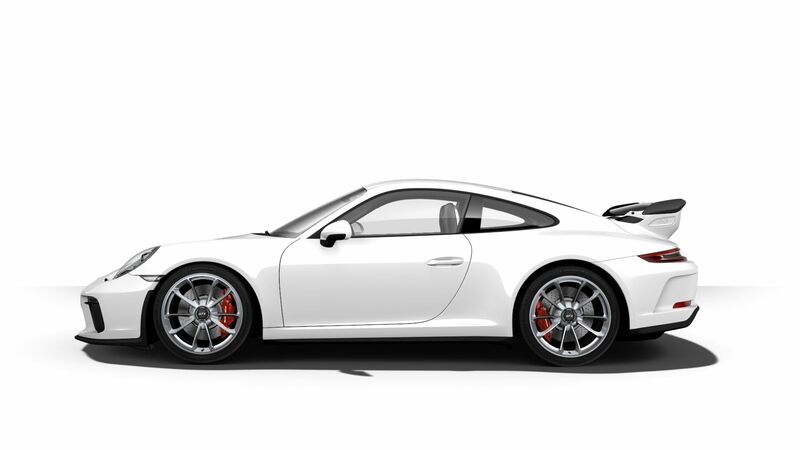 To match the true definition if a sports coupe, Porsche has made the 911 GT3 as a powerful and sporty coupe. With exceptional performance attributes the Porsche 911 GT3 2018 has received performance upgrades making it powerful and one of the fastest luxury cars in Dubai. A retuned chassis and a new powertrain. Being a rear-wheel drive sports coupe, the 2018 911 GT3 engine is paired with a 6-speed manual transmission to offer more power and better performance. 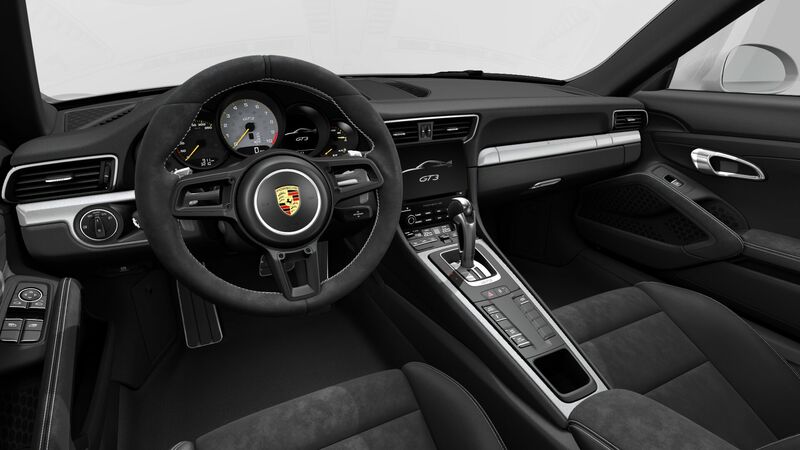 However, an optional 7-speed Porsche Doppelkupplung with short gear ratios transmission is available. Just like the exterior, performance has also been upgraded to make this sports coupe more sporty and powerful. Now, it comes with a 4.0-litre flat-6 engine generating 493 horsepower and a 20Nm upgraded torque, 460 Nm of torque making this latest entry of luxury cars in Dubai a powerful sports coupe. With a 6-speed manual transmission, the 2018 911 GT3 can go from 0-100 Km/h in merely 3.9 seconds, with a top track speed of 320 Km/h. While with a 7-speed automatic transmission it can reach the top speed of 315.8 Km/h and can go from 0 to 100 Km/h in just 3.4 seconds. For better stability, it offers Porsche Stability Management System and Porsche Active Suspension Management System. Also, it offers two driving modes that are Normal and Sports Mode. The 2018 Porsche 911 GT3 is available in the UAE car market with a range of choices for the customer. 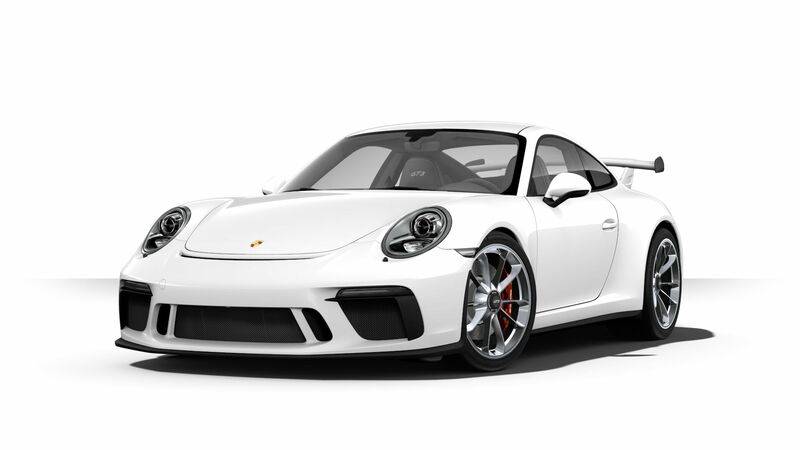 The base model of the 2018 Porsche 911 GT3 has a starting price of AED 566,000 that can go as high as AED 650,000 depending upon the optional features chosen by the customers. The luxury cars in Dubai have features and performance to stand out from the crowd and is one of the highly demanded sports cars, the 911 GT3 has everything to entice the luxury car enthusiasts.